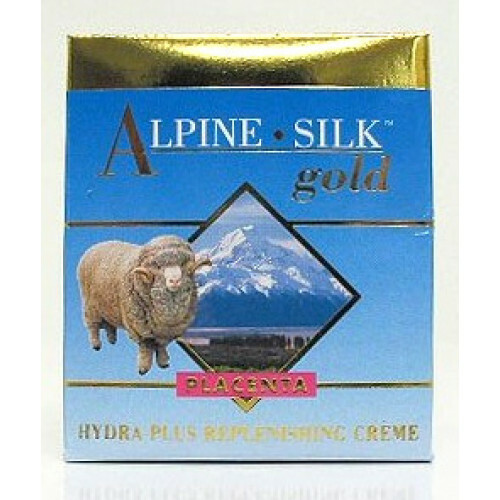 Alpine Silk silky, smooth revitalizing placenta crème is instantly absorbed into the skin, leaving it soft and beautiful, with no greasy residue. Hydra Plus Replenishing Crème contains selected placenta amino acids and proteins which have a beneficial effect on the elasticity of the epidermis and will help revitalize and protect your skin. Apply a thin layer after cleansing every morning. Deionised Water, Mineral Oil, Glycerin, Glyceryl Stearate, Acetylated Lanolin Alcohols, Lanolin, Cetyl Alcohol, Isopropyl Myristate, Polysorbate 60, Placenta Extract, PEG-100 Stearate, Phenoxyethanol, Tocopheryl Acetate, Methyl Paraben and Propyl Paraben and Ethyl Paraben and Butyl Paraben, Fragrance. Nature's Beauty ovine placenta eye gel is a soothing anti-wrinkle gel that gives sparkle to the e.. 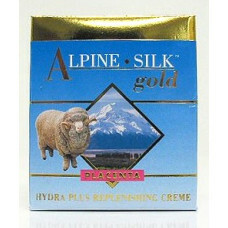 Nature's Beauty Ovine Placenta Cream is a ultimate anti-wrinkle placenta cream ideal for rejuvena.. Nature's Beauty Placenta Cream is a revitalising anti-wrinkle placenta cream ideal for rejuvenati..